For lessons taken AFTER 5pm weekdays or anytime at the WEEKEND. Pay for up to 9 hours of driving lessons here. To save even more money, block book 10 lessons (below) and save an extra £2 per hour! For lessons taken BEFORE 5pm Monday to Friday. Book 10 hours of driving lessons and benefit from saving £20! By booking 10 hours in advance, the hourly rate is reduced to just £26. 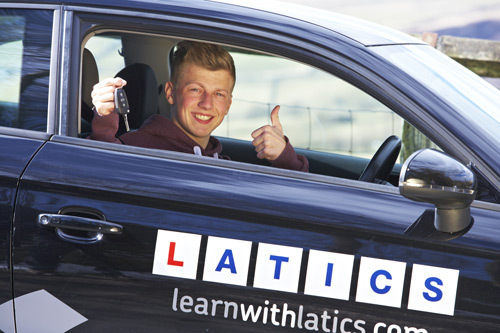 30 hours of training at a pace to suit you (typically over a 4-8 week period, including one theory test fee and one practical driving test fee). Only available Monday to Friday daytimes. For lessons taken AFTER 5pm weekdays or anytime at the WEEKEND. Book 10 hours of driving lessons and benefit from saving £20! By booking 10 hours in advance, the hourly rate is reduced to just £28.